It's a good thing we aren't fabulously wealthy, otherwise our domiciles would be clad in all sorts of clever automotive art. We're not just talking cheesy vinyl bench-seat sofas and engine-block coffee tables, either. We like to think our taste elevates above some of the more common automotive décor we've seen. 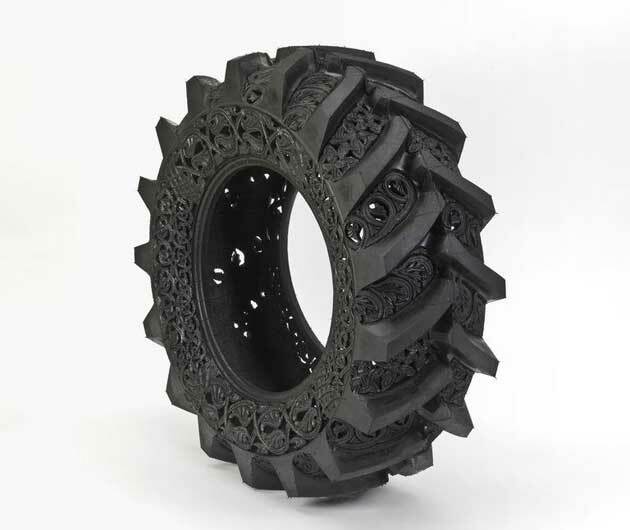 Take Wim Delvoye's intricate tire carvings, for example. Each piece is filled with exquisite detail and is hand carved. Untold hours have been sunk into each piece (we have to imagine that this isn't the type of thing that gets churned out in an afternoon – or a week of afternoons, for that matter). The only question, is how does one go about displaying a decorative carved tire in one's home? Would it work as a stylish table center piece? How about hanging from the ceiling? We say let experimentation be your guide. Judging by the gallery names on Delvoye's site, these carved tires might actually be a few years old, but this is the first time we've seen them. If they're new to you as well, check out our full gallery, then visit Delvoye's website by clicking on the link below.